By The Cambridge Organic Food Co. ltd. This campaign has been put on hold until 2018. The Cambridge Organic Food Co. ltd.
A food hub is a place that brings together local food producers and businesses. The food that is traded and distributed there will be local and sustainably produced. Its route to market will be direct, bringing significantly reduced wastage, food miles and costs in a way that will benefit the local community and the environment. Local residents will benefit from a retail outlet, café and community space. The wider Cambridge area will be served by a home delivery service and distribution of food to retail outlets and catering establishments around the city. At the heart of the Food Hub will be an amazing food store, filled with an abundant supply of the very best produce our local area has to offer. Around this will be space and commercial kitchen facilities made available to small businesses at affordable rates, making the Food Hub an ideal venue for business incubation, education in cooking skills and nutrition, and a fertile environment for the development of new ideas. The reason the Food Hub is such a great idea is because the idea collectively came from many relevant people who deal with food in Cambridge. In 2013 Cambridge Sustainable Food held a consultation meeting which was well attended by local food producers, local food businesses, environmental charities, local authorities and voluntary organisations. The remit was to come up with ideas for projects that would address issues such as food poverty, food waste, food procurement, building a vibrant local food economy and promoting healthy eating. Five of the eight focus groups independently came up with the idea for a food hub; they had identified the need for space and facilities to be available for food projects and enterprises, and a desire for sustainably produced food to feature in Cambridge on a much bigger scale than at present. 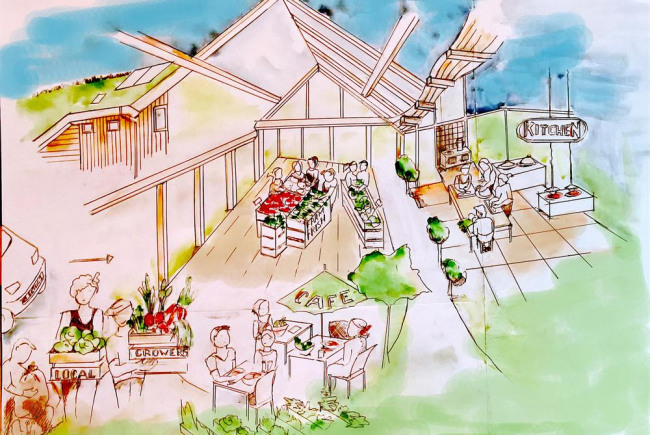 So the Food Hub isn’t just another food project, it is the project which will enable many more worthy food initiatives and enterprises to find their feet. Pledge £100 to become a ‘Friend of the Food Hub’. You'll benefit from a 10% saving on all your shopping at the Food Hub for life. That includes home deliveries and meals in the café/restaurant. Over time your Friend of the Food Hub membership will pay for itself many times over. Remember, you will not be asked for the money until the building has been identified and our funding target has been reached. 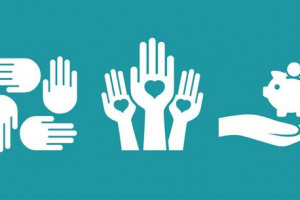 If you wish to pledge an amount other than the £100 Friend of the Food Hub membership fee, please consider supporting our ‘Good Food for All’ fund. For every £100 pledged to this fund 2 local low income households will be sponsored to become a Friend of the Food Hub and save money on their food shopping. At present the site for the Food Hub is yet to be identified. Experience has proved that suitable properties in Cambridge sell very quickly, which is why it is so important to concentrate of the funding for the project before seeking property. The Food Hub is to be located somewhere on the outskirts of the city of Cambridge. As yet the site has yet to be identified. The Sustainable Food Hub project is being undertaken by the Cambridge Organic Food Co. on behalf of Cambridge Sustainable Food. Cambridge Sustainable Food is a network of individuals and organisations in Cambridge including representatives from Cambridge City Council, Cambridge University, Cambridge Carbon Footprint and Transition Cambridge. Cambridge Sustainable Food is responsible for Cambridge's inclusion in the national Sustainable Food Cities network, and has achieved a Sustainable Food Cities 'bronze' award on Cambridge's behalf. Cambridge Sustainable Food is in the process of becoming a Charitable Incorporated Organisation. The Cambridge Sustainable Food Hub project is currently being managed by a task force of volunteers. The task force is a non incorporated body, but will become an incorporated body (most likely a company limited by guarantee) once the building for the Food Hub has been identified and the crowd-funding campaign has reached an advanced stage. The Cambridge Organic Food Company (COFCO) is a key partner in the Sustainable Fodo Hub project. COFCO's main activity is delivering organic vegetable boxes to resisdents of Cambrigde and the surrounding area. Nearly every organic grower that is local to Cambrigde supplies COFCO. COFCO has pioneered many solutions for sustainable food distribution and is an ethical employer; currently holder of the Living Wage champion award for the East of England. COFCO has been established for over 18 years and is one of the most successful enterprises of its type in the UK. Project Delivery Manager: The Cambridge Organic Food Co. ltd. The Project Delivery Manager takes legal responsibility for receiving and spending the funds raised and ensuring the project is delivered.